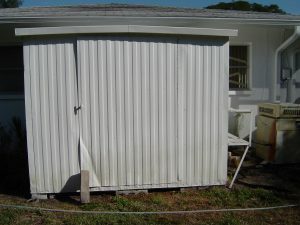 In most cases, this is not permanent damage, we can fix it! 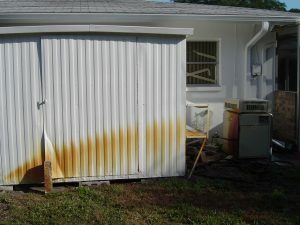 Sulfur Rust Stains are those yellow orange looking stains you typically see near sprinkler systems in the Pinellas and Tampa Bay Area. These stains are caused by well water being used for sprinkler systems. They appear on your homes exterior walls, driveway, sidewalks, and other items around the outside of your home. Until now most people found that these stains were impossible to remove. There is no need to continue letting these rust deposits take away from your homes curb appeal. We have obtained a specially formulated chemical which removes these stains almost like magic. 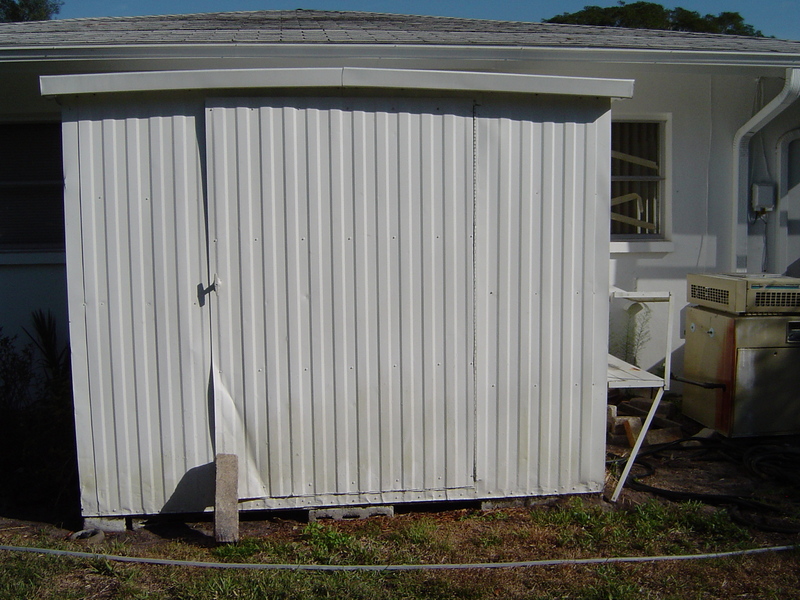 It is not recommended for a homeowner to try to remove these with any kind of acid or other toxic chemicals. Such treatments can be very dangerous to handle causing skin burns, problems with breathing, and if mixed with certain other solutions can actually cause an explosion resulting in personal injury. Please let us, the professionals of All Surface Pressure Cleaning, remove these stains. 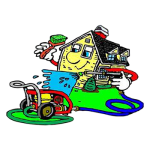 After the unsightly stains are removed it is recommended that you follow up with your local irrigation company and inquire about having a special filter installed on your pump to reduce, and in most cases eliminate these stains from reappearing.